Charlotte B Werder of Stryker, OH and formerly of Pittsford, MI passed away Tuesday, July 30, 2013 in Allegan, MI. Charlotte was born December 20, 1935 in Pittsford Township, Hillsdale County, Michigan, the daughter of Roy and Pearl (Pinkham) Earles. She was a 1954 graduate of Hillsdale High School, and was a resident of Stryker for 35 years. Charlotte enjoyed reading, gardening and cooking. On December 31, 1980, she married Stanley Werder, who preceded her in death April 21, 2013. Also preceding her in death was a son Stephen (Laurie) (Taylor) TenEyck of Brandon, FL on December 28, 1992. 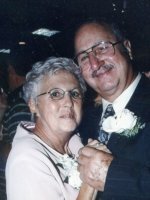 Surviving are 1 daughter and son-in-law Deborah and Brian True of Otsego; 5 grandchildren; 4 great grandchildren; siblings, Sharon (Doug) Hicks of Reading, MI, Donald (Veronica) Earles of Onsted, MI; many special nieces, nephews, cousins and friends. Cremation has taken place. A private family service at Leonardson Cemetery, Pittsford, MI will be held at a later date. Memorial contributions may be made to Wings Home, 330 Linn St., Allegan, MI 49010 or Stryker Library, 304 N. Defiance St., Stryker, Ohio 43557.